This year two of our members celebrate memorable milestones as members of the UCM. 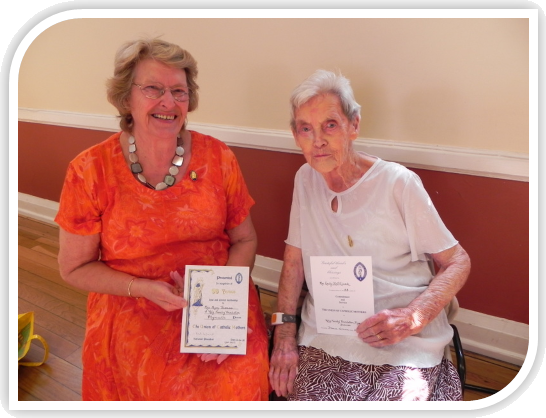 Mary on the left has been a member for 50 years and has held many different posts within the UCM and supports fellow members with enthusiasm and great joy. Em on the right remembers Canon O’Malley roping her in 58 years ago to ‘Join the bunfight….’ when she was a young mum in Exmouth and has been here ever since.